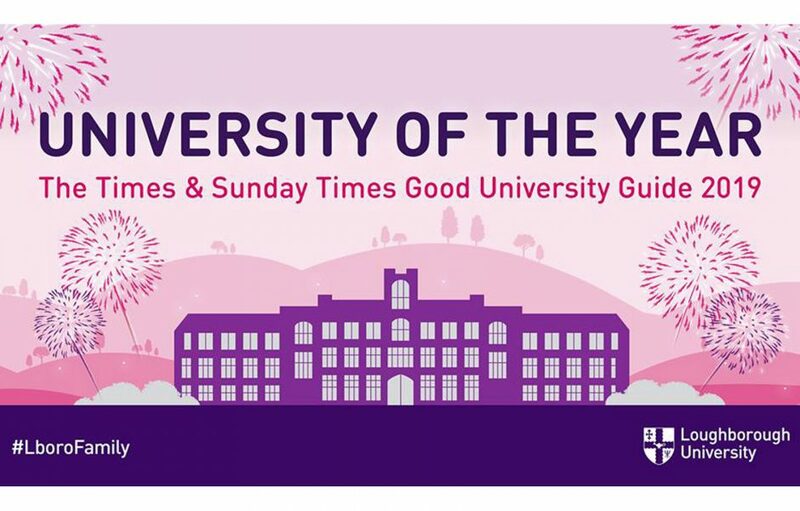 We have been named The Times and The Sunday Times University of the Year 2019! The University of the Year award has been given to Loughborough in recognition of the quality of teaching, the wider student experience our students benefit from, our graduate employment rates and our outstanding success in sport. We have also received its highest ever ranking in the guide, rising a further two places to fifth. What’s more, we are the only University in the history of the guide to take the ‘University of the Year’ title twice. The Times and Sunday Times Good University Guide is published in this Sunday’s (23rd September) newspaper and includes profiles on 132 universities. We are absolutely delighted to win this prestigious title. Thank you to our students, staff, collaborators and Alumni across both campuses for making Loughborough University such a special place. Read the news article on our website for further information.